Irish National Song Contest..1985..08.02.1985..02.08.1985..8th February 1985..Battling to represent Ireland in Gothenburg at the Eurovision Song Contest the following singers took to the stage at R.T.E. Studios, Dublin. .Jody Mc Stravick,Maria Christian,.Marion Fossett,Jane Cassidy,Carol Anne,.Jacinta Whyte,Mike Sherrard and Trish O'Brien..The National winner was Maria Christian,singing "Wait until the weekend comes". 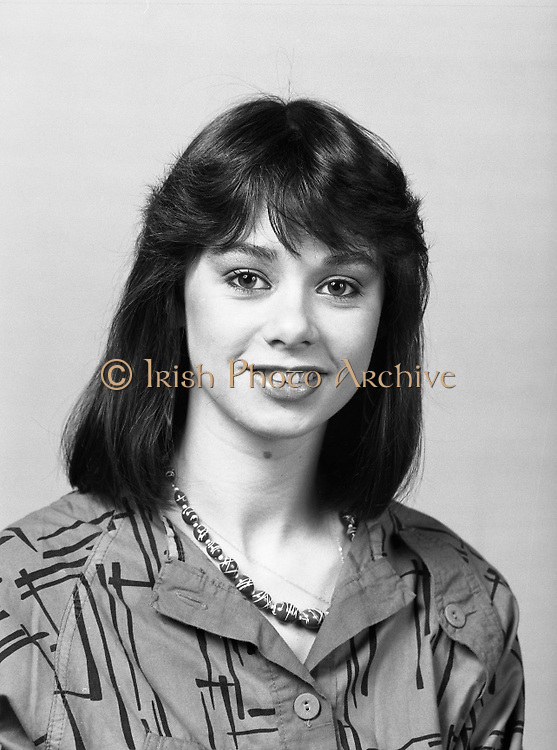 She went on to finish a commendable sixth, behind the winners Norway, in the Eurovision Final...Image of Jody Mc Stravick taken prior to him singing "Couldn't live my life", in the National Song Contest..